The Middle-Atlantic CBS5-26 Skirted Wheelbase features four non-locking commercial grade floor casters for the Middle-Atlantic Slim 5 26"-depth model. 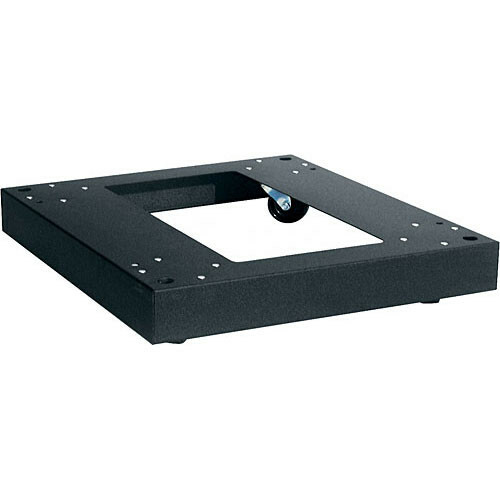 These commercial grade casters bolt directly to the bottom of Slim 5 racks or can be concealed in a skirted base. This caster set includes four non-locking fine floor casters for quick and easy movement. The commercial grade wheel set provides added grip to the floor and smooth movement. Box Dimensions (LxWxH) 29.0 x 24.0 x 6.0"